In an interesting development, His Eminence Ludwig Card. Müller was interviewed on Italian TV. There is an account of the interview at La Stampa. He spoke about the issue of the Five Dubia respectfully submitted by the Four Cardinals. The video of the interview is HERE. This entry was posted in One Man & One Woman, The Drill and tagged Amoris Laetitia, divorced and remarried, Five Dubia, Four Cardinals, Gerhard Ludwig Müller, matrimony. Bookmark the permalink. What happens whenever a modernist sees an opportunity to cut in, he will do so upping the ante by escalating further his “progressive agenda” another notch or more. Watch for them doing this. “…it doesn’t concern a danger for the faith.” Adultery and sacrilegious reception of the Eucharist, is not a danger for the faith? Did I miss something? This is ammunition to Francis’ defenders, coming from no less than the Doctrinal Prefect. In a world so prone to denying simple realities as well as those exhibited by human behavior, is it any wonder the Faith finds itself in peril while all go about consumed by their own agendas. I thought Rome was on the Tiber, but it appears rather to be denial. Man, made in the image and likeness of God, one wonders where there is one endowed to address rude realities. Cardinal Muller may not agree with the public nature of the Dubia, but he does not say anything contrary to traditional teaching in this interview (at least not in the excerpt above). We are very fortunate that he is in his current role at the CDF. I sympathise with Card. Muller, he really is in an impossible position. First Cardinal to come out in defence of Francis. The publication of the five dubia was, in itself, a Papal correction. The Pope knows that he has overstepped the line and he knows that he cannot give a reply to those dubia which is consistent with the teaching of the Church. He remains silent and his silence is a confession of guilt. Bless his heart! There already was a path to integration. With nonsense statements like this having become the party line of the Bergoglio papacy, if not of the entire postconciliar establishment, how can any serious Catholic deny that the Church is in an unprecedented state of emergency? AL was issued for all of the public to see, the confusion about it is widespread among laity and clergy- the discussion needs to be public. How he doesn’t see a danger to the faith is mind-blowing. More and more, I think this knot is Our Lady’s to untie, with some ground support prayers from the Church Militant. Huh, I wonder whether Cardinal Muller’s resume shows a stint in (US) Army ROTC at Faber College during the late ’70’s? Somehow, the words: “Remain calm! All is well,” come to mind. With all due respect to Cardinal Muller I would say that there is a significant threat to the faith, and that out here in everyday Catholic-land, a great amount of confusion. We do not know any longer if the pope expects we Catholics to continue to follow the teaching of Our Lord, Jesus Christ, because it appears as if Catholic teaching on the Holy Eucharist and Matrimony, have certainly changed. We have a right to expect a clear “yes or no” answer to the questions that WE have, the very same ones that have been presented by the dubia! We are in confusion, even distress, and that being the case, we have a right to expect the pope to clarify the situation in simple terms that can be understood, which is to say, a yes or no without confusing explanations. Why is the pope ignoring us? Why does he continue to avoid answering our questions? Please, Cardinal Muller, ask him to answer the dubia, and thereby help us. “But I don’t see any conflict (contrapposizione): on the one hand we have the clear teaching on matrimony, and on the other hand the obligation of the Church to concern itself with these people in difficulties.” What does this mean? To paraphrase Spadaro: 2 plus 2 = 5 ? I don’t intend at all for this to be ad hominem, but are these sorts of vague statements that we laity deserve? And failing to realize that, if I read Peters correctly, in neither case can the internal forum be invoked, as the external forum is always involved, given that there are *no* purely “internal forum” cases, despite what some people apparently think. And, moreover, somehow the concept of conscience has gotten all mixed up with the internal forum concept. That is one reason why these loose interpretations of the internal forum are so destructive; the subvert canonization of a subjective view of conscience in all aspects of moral theology. I’ve been reading Urrutia, cited by Peters, and find his discussion turgid. But one has the sense from Urrutia that there is a fascinating history to the internal/external forum concept. A history that needs to be discussed and unpacked to understand the genesis of this concept and its current interpretation in canon law. Often, knowing the history of a concept makes the concept’s meaning very clear, and also sheds light on mangled misinterpretations. “it’s not possible in this moment because it doesn’t concern a danger for the faith…”. What an asinine comment by Cardinal Muller. Minor correction to my posting: there are no situations in which the internal forum cannot be invoked independently of the external forum in these types of cases. But this independent invocation is what is causing problems. At least that’s the way I read Peters’s blog posting. And I more than invite correction. It seems the internal forum issue is *the* crux of the issue in the disputes over Amoris Laetitia. There is much discussion about the implications of AL for moral theology. But that is because the Spadaro group is exploiting misunderstanding about the internal forum in canon law contexts, to advance a much more sweeping agenda having to do with moral theology or other areas of sacramental theology. That’s just my take, but I have no reason to think it is inaccurate in the least. Final correction: there are no situations in which the internal forum can be invoked independently of the external forum in these types of cases. Typo in previous. Expended enough of Fr. Z’s bandwith. Curious what others say, not what I think. An utter betrayal from the Cardinal. At one time I had a speck of hope that he’d speak honestly to the Church at large, somehow ‘growing into’ his position as head of the CDF. All the *cough* interpretation in the world can’t make this interview other than what it is. The Cardinal isn’t unintelligent, isn’t an ostrich; he is telling us to be quiet, to submit to the destruction of the Church under cover of whatever excuses seem expedient to the hierarchy. It is so very strange, and even more sad to see the fulfillment of prophecy in real time. 24 “Son of man, say to her, You are a land that is not cleansed, or rained upon in the day of indignation. 25 Her princes (read Cardinals) in the midst of her are like a roaring lion tearing the prey; they have devoured human lives; they have taken treasure and precious things; they have made many widows in the midst of her. 26 Her priests have done violence to my law and have profaned my holy things; they have made no distinction between the holy and the common, neither have they taught the difference between the unclean and the clean, and they have disregarded my sabbaths, so that I am profaned among them. 27 Her princes in the midst of her are like wolves tearing the prey, shedding blood, destroying lives to get dishonest gain. 28 And her prophets (read Bishops) have daubed for them with whitewash, seeing false visions and making up lies for them, saying, ‘Thus says the Lord GOD,’ when the LORD has not spoken. 29 The people of the land have practiced extortion and committed robbery; they have oppressed the poor and needy, and have extorted from the sojourner without redress. 30 And I sought for a man among them who should build up the wall and stand in the breach before me for the land, that I should not destroy it; but I found none. Amoris laetitia is very clear in “it’s” doctrine. That being ambiguity. And, yes, “we” can interpret the whole teaching of Jesus on matrimony, the whole teaching of the Church in 2000 years of history. Why? Because Our Lord was clear. The Church is clear. That is why we can clearly reach the conclusion that the “whole” teaching of Jesus on matrimony, the whole teaching of the Church in 2000 of history does not jibe with the Frankenbaby AL. As for St. Thomas, I doubt he’d agree with +Mueller on whether or not shooting a fiery dart at the heart of Catholic marriage dies bit represent clear and present danger to the Faith. How do we go from a theologian like Robert Spaemann not understanding why only 4 cardinals (publicly anyway) signed on to the dubia to the Prefect of the Congregation of the Doctrine of the Faith indicating that the likelihood a fraternal correction is remote ? Either something changed from when the Spaemann spoke to when Cardinal Muller spoke (which we don’t know about) or someone is lacking information, or the remote possibility that someone doesn’t have a clue ? It could be the possibility that one of them subscribes to Father Spadaro’s 2+2 = 5 idea I suppose. The dubia only became public when the Congregation, acting for the Pope failed to respond to the dubia. He is amazed when people act when he doesn’t do his job ? Did he give a timeline as to when the CDF would respond to the dubia ? How long do you think Pope St. John Paul II or Benedict XVI would have taken to get’r done ? Assuming of course, the highly unlikely scenario that they would have caused the dubia to be initiated in the first place. I don’t know why one couldn’t ask those 5 questions to any Bishop in the Church, let alone the CDF, to find out where they are doctrinally. It really shouldn’t be that hard. I have a headache. If the head of the Congregation for the Doctrine of the Faith breezily proclaims Amoris Laetitia is not a danger to the Faith I’m not sure we practice the same religion. AL is a profound threat to the entire Catholic moral edifice. It positively oozes with situational ethics. The letter of the 40 or so theologians who demonstrated the numerous ways in which AL was heretical/blasphemous was sobering indeed. The Church is certainly undergoing something agonizing. I’m starting to feel shell-shocked and I’ve got fortitude. “But I don’t see any conflict (contrapposizione): on the one hand we have the clear teaching on matrimony, and on the other hand the obligation of the Church to concern itself with these people in difficulties.” – sounds like this is going to be the official answer. Now to rename the CDF back to the Supreme Sacred Congregation of the Roman and Universal Inquisition and start doing some interviews. Very disappointing comments from Mueller, I have lost all respect for him. I suppose I should not be surprised, he is a German prelate after all. He seems to think his role is to protect the public image of the Church and Pope, instead of protecting its doctrine. If yes, then it is not possible for remarried persons (polygamists essentially) to receive communion. If no, then “helping people in difficulties” really means “anything goes” and the Church essentially abandons her morality on marriage. Receiving communion in a state of mortal sin becomes the new universal norm (of course the rubbish about “discerning in specific cases” is just waffle). Marriage means nothing, mortal sin means nothing and penance means nothing. The Church acts in direct opposition to the explicit teaching of Jesus Christ and St Paul. The Church is protestant in all but name. Should the Church follow Bergoglio down this path, then it is another nail in the coffin. I suppose most cardinals want to keep their jobs in Rome eh? Cardinal Mueller should have been asked, if there is no conflict between Francis’ document and Church teaching, then why will the Pope not respond to the Dubia? It is clear that there is conflict and Francis himself is very aware of it, hence the scandalous and irresponsible ignoring of the requests for clarity. He is saying ‘it is obvious that Amoris Laetitia should be read in accord with the last 2000 years of Catholic doctrine and the explicit teaching of Christ so it poses no danger to the faith’. But the problem is, this doesn’t seem obvious to the Holy Father, many cardinals and countless bishops. Has he got his head in the sand? Look, Cardinal Muller seems profoundly concerned about both the basic unity of the Church and also the integrity of the Church’s magisterial authority. Those two concerns appear to have been the primary inspirations for his whole approach to the synods and Amoris Laetitia. There seems to be a segment of the ecclesial class that simply prefers to interpret the exhortation as perfectly contiguous with Church teaching and they await a new Pope who will (one hopes) offer an emphatic clarification and reaffirmation of Church teaching. That’s obviously not the strategic approach of Cardinal Burke and others, and we’ll find out sooner or later which approach was the wiser, but I think I fully understand what Card. Muller is doing. For whatever it’s worth, I see the benefits of having big, broad public debates about such matters. For many years, even decades, the Church has proceeded as though the basic integrity of Church teaching was unassailable safe, as though the Church teaches what she teaches and that it’s beyond dispute. In a more transcendent, ontological sense that’s true. But a majority of laity, a large number of clergy and religious, and too many bishops and cardinals have precisely been disputing what the Church teaches. Proceeding as though such fragile, nearly schismatic, weakness weren’t there strikes me as very unwise. The secrecy surrounding many chancellories during the abuse crisis demonstrates how perilous it can be to keep the skeletons firmly in the closet, although obviously the two crises aren’t exactly alike. The question, it seems, is just how publicly we should air this laundry. Despite, Cardinal Muller’s efforts, I think it’s fairly obvious that this isn’t going to be easy to wrap up and deal with quietly. What is wrong with “pastorally” explaining the “very clear…teaching of Jesus Christ”? I believe this effort to by popular and well-thought-of is getting in the way of assisting souls to Heaven. I hope what he says is true in terms of the actual meaning of what the Pope has written. The situation has gone beyond that now, though, in terms of so many voices in the Church interpreting it to mean other non-Catholic things. Is the Cardinal Prefect going to issue a correction to the Cardinal Vicar of Rome and other bishops who are instructing their clergy to adopt interpretations of Amoris laetitia that are not in accord with “the whole teaching of the Church in 2000 years of history”? That would have to include Familiarise consortio, misleadingly quoted in AL, and Veritatis splendor, completely ignored by AL. With all due respect to his Eminence, who I greatly respect, I must voice my disagreement with this statement. The pronouncement of heresy is always a danger for the faith and, given the complete lack of clarity or clarification from the Holy Father, this is most definitely a danger for the faith. The Catholic Church needs to return to being the precise and distinct voice it has always been. People used to know exactly where the Church stood on issues of faith and morals, but now there are clergy who are allowing people to enter into continued mortal sin because of a false sense of charity. This confusion is putting the souls of thousands in grave danger of the loss of their salvation, it must be addressed with clarity, charity, and orthodoxy. Well, if the teaching of A.L. is so gosh darned clear then the Pope (and Cardinal Müller for that matter) should have no problem stating it in simple black and white language with no obfuscations. If it’s so simple and clear, then please, just say what it is. A fraternal correction would be ignored anyway? Dear Gabriel Syme, you perfectly correctly note that Cardinal Müller “is a German prelate after all” – which provides sufficient explanation of his allegedly apparent lack of orthodoxy, I assume. I just wanted to remark that two of the four publicly known authors of the dubia (Cardinals Meisner and Brandmüller) also happen to be “German prelates”, as does e.g. a certain auxiliary bishop Athanasius Schneider, whereas a majority of the Holy Father’s entourage obviously don’t. As an aside, from some point of view, Pope em. Benedict XVI may – horribile dictu – likewise have qualified as “German prelate”. Wouldn’t you prefer the “German prelate” to stay in place beyond 2017 to prevent the worst instead of, say an Italian, Belgian, or American prelate to be appointed?? This is a little disheartening. I didn’t know Cardinal Muller was on the “it’s all perfectly clear” side. I certainly respect the opinion that public confrontation on this issue may not have been prudent or good for the Church (I disagree, but I can understand and respect that opinion). However, as soon as anyone, including Cardinal Muller, begins the “it’s all perfectly clear” song and dance routine, the hairs on the back of my neck tingle. It is, at this point, a manifestly evident and objective fact that the teaching of ‘Amoris laetitia’ is not clear. The questions being asked are legitimate and thoughtful questions made by people with good reputations and apparently earnest intentions. Any attempt to provide “clarity” without actually answering the danged questions is simply piling on more obfuscation. No one should attempt to explain how clear it is without simultaneously giving “yes/no” answers to the 5 dubia. It’s really that simple. The easiest way to satisfy people asking a question is to ANSWER THE QUESTION. If the questions are answered and people STILL complain that AL is unclear, at that point scorning such folks is perfectly justifiable. Until then, anything other than yes/no answers to the questions is foofaraw and folderol. That’s all too likely to be true, I fear. Pope Francis seems to be of the “agree with me and praise me, and I’ll beam smiles on you; disagree with me, and I’ll insult and demote and sideline you” camp. These are characteristics which would bring shame on a 7-year-old candidate for First Holy Communion (and swift rebuke from any responsible adults in charge of their formation). I really wish I hadn’t lived long enough to see things like this. My heart was spoiled in the past, in that I always felt that it could find emotional refuge and security in the teaching (and often in the person) of the Holy Father (even if not in his actions, cf. Pope Paul VI). Not so, anymore. Ven. Pius XII, pray for us! Is that charge of heresy DEFINED? No. Nothing is. +Mueller, as far as I read what is actually being communicated, is in the very process of engaging ideology to mentally manipulate the the flock with bogus implications of heresy. CCC 675 Worth a read. Perhaps it’s past time to look at the persons making such declarations — and not just the position they hold — as to what constitutes a danger to the Faith. For while the above sounds extremely wordy and deep, the reality is that at one point in the tomb, Our Lord’s body filled out the shroud that was wound around it and at another time the shroud was limp. So, while +Mueller asserts that certain personal ideologies can be foisted upon the people as a way to control their minds, etc, I cannot help but see his own thoughts and projections doing precisely that. I’m appreciative that the man has been very clear in making his intentions, beliefs, and perception of his duty clear. Good to know where other’s stand. If only there had been some way to preempt the open publishing of the dubia! Admittedly, Pope Francis could have responded to the initial letter before it was made public, but these are essentially yes or no questions related to doctrine, and Amoris Laetitia is very clear in its doctrine. How would it have been possible to respond with yes or no when all the exhortation provides is clear answers? Setting aside my sarcasm, I’ve argued since it was published that Amoris Laetitia is *technically* orthodox. Strictly speaking, Cardinarl Mueller is right on several parts – it is clear in its doctrine (in so far as it does not actually contradict past teaching), and the Church still has an obligation to concern itself with people in difficult situations. The issue remains as it always has that there are limits to how the Church can respond to such situations. In reference to Bishop Schneider’s assessment of the situation, and other recent goings-on, I cannot help but perceive an off-camera “beretta” in this announcement. If it’s so clear THEN ANSWER THE DUBIA. Taken together with his earlier remarks on the Five Dubia, in their full version, can we not see that, in effect, Cardinal Mueller now has answered the dubia–with precisely the answers we had desired? Is not the essence of the dubia the question, “Does Amoris Laetitia change dogma?” and is not Cardinal Mueller’s answer an emphatic “No!” ? Poor Yorek, thanks for making me laugh. I always thought that Cdl Muller was weak, but I thought he was at least slightly rational or at least logical. However, if he really thinks he’s supporting Francis by saying, “on the one hand we have clear teaching” that nothing has changed, while at the same time saying “and on the other we have” [this “accompaniment thing”], he’s admitting that there acually HAS been a change – but saying it’s okay, bcause it was done for the best of most merciful reasons. Sorry, Cardinal, you can’t have it both ways. If there is “no danger” etc. then why doesn’t Cardinal Mueller or the Pope just put the 5 little yes or no answers on the dubia. It’s so simple. The Cardinal’s statement sounds like an ambiguous opinion unless he can say the “yes” or “no” with gusto. I’ll say it again, give Cardinal Muller a break. Please read what he has actually said about the content of A.L. before you throw him under the bus. He interprets the document in an orthodox manner. You should grateful he is in his current role and not a certain Austrian Cardinal with royal bloodlines. Perhaps we need a “Provisional” Inquisition? Are there any Sean MacStiofains about? 2. BXVI remains pope, say until ’18. He dies and tagle is elected and reigns for 39 years. Maybe a short term purification is better than some other scenarios. Every one! 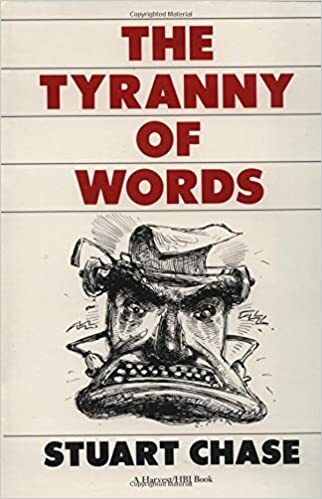 Stop what you are doing and go read Stuart Chase, THE TYRANNY OF WORDS (1938). My reading is that his Eminence is walking a high political tightrope, he knows that the Pope is looking for any excuse to fire him and that coming out all guns blazing would be a sure fire route to his p45 and the installation of Danieels or Kaspar at the CDF (which given that ED comes under the CDF would be an absolute nightmare). He’s already been forced to dismiss 3 excellent Priests from the congregation and knows that their replacements will likely be Francis cronies, I think he’s trying to survive this Papacy and that the price of this is copying Francis’s ambiguity in public. The effect of the fraternal correction almost doesn’t matter, in my tiny, humble opinion. The fact that it is made will be the thing. History will show he had to be corrected on serious points. History will show a progressive campaign was developed which was disagreed with and which was addressed, by four courageous Cardinals. Just as importantly, maybe more so, faithful Catholics will be supported in their belief that under no circumstances are we to depart from the teaching of Our Lord Jesus Christ, as He told us. “Even if an angel should come preaching a different gospel…”. This is needed confirmation right now, not next January, soon. We already know the truth of this, and there will be holdouts and martyrs, but why lose so many others, it is a tragedy. Things are very bad. Things will go from bad to worse if Cardinal Muller is right and there is no formal correction. There will be various conclusions and choices about what to do in light of no formal correction, but none of the conclusions we would have to face would be good or easy ones. Do not abandon us, good Cardinals. I do not believe they will abandon us, nor the church, nor Christ himself. I believe absolutely these men thought it all out before they took the first step. God bless them. Personally I agree with Cardinal Müller. Pope Francis has not formally taught any error. Lack of clarity is a prudential and not a doctrinal error. If people teach against Sacred Tradition they can and must still be opposed the way they have been up until now. Riding the wave of secular popularity seems to be a bigger priority to Pope Francis than performing a spiritual work of mercy towards members of his own Flock. Wasn’t Bishop John Fisher both the only one who bucked Henry XIII, and also the only one from that kerfuffle who now bears the title “saint”? The good cardinal is failing to remember that the letter was made public since the Pope declined to give it a reply for 2 long months. To publish the letter certainly was not the initial intent of the 4 cardinals. What can a catholic faithful think of a priest who would decline giving his lights regarding a peculiar matter of doctrine or advise him on a peculiar point of his spiritual life? The Pope could easily reply the five dubia and the issue was settled without us even being aware. Instead there was a despising silence. His Emminence Cardinal Mueller has sold out. A brilliant theologian, for whatever reason, now looks to save his own skin. His term as CDF prefect is nearing an end or renewal and it seems he would rather keep his job then defend the faith. Once again I will say, the only person who could put an end to this nonsense and won’t, is Pope Benedict. Until either he or the Cardinals that wrote the Dubia “correct” and defend the faith it will continue to be chaos and dissension without end. To all people here criticizing Card. Muller, it seems to me that His Eminence was just being extra-cautious with his words, nothing more. He merely used the necessary language so as not to antagonize the Pope. Considering the climate of fear at the Vatican under Francis, do we really need yet another demotion of a good (Benedict-friendly) cardinal? I’m sure Card. Muller was aware of this when speaking during the interview. The fact that the four cardinals went public, shut the conversation down. That was over the line. If AI is so clear, and if it doesn’t conflict with Catholic teaching on marriage, then why did Archbishop Chaput get (very rudely, IMO) criticized by that cardinal in the Vatican (can’t remember his name) when Chaput put out the letter to the faithful saying Catholic teaching on marriage hasn’t changed? This is all very disconcerting. You make a good point that Germany has some good prelates, I agree. I didn’t intend to condemn them all with my statement, I was just referring to the fact that German prelates (and theologians) have, since V2, been prominently at the forefront of pushing for changes, innovation and novelty. There are undoubtedly a lot of modern German figures of questionable orthodoxy. They enjoy disproportionate influence, due to the wealth of the German Church. Perhaps its worth noting that Cardinals Meisner and Brandmuller, both fine men, are of an older cohort (as admittedly is Kasper). It will be interesting to see if Germany produces their like again, or if the Kaspar / Marx mould will dominate in future. One minor disagreement – Bishop Schneider is actually of Kyrgyz nationality, (born in the Soviet Union), though he is ethnically Germany. This is important as it means he was not formed / educated in the environment of post-V2 German Catholicism. To those who say, “Cardinal Mueller is just trying to keep his job and isn’t it better he’s heading up the CDF rather than . . . “, I say blatherskite. Make Cardinal Cupich or Tobin prefect of the CDF. Give Bishop McElroy a red hat. Let’s put these men front and center and allow the apostasy to show itself in all its fury. We’ll have clarity then and the time of ambiguity and whistling past the graveyard will be over. The sides will be clear and everyone will have to declare themselves, for the religion of Christ or for the religion of man. Cardinal Muller is in an unenviable position, associated with the Benedictine project (which is so out of favour in the corridors of power) and ridden roughshod over by the Apostolic Palace, or indeed the Casa Sancta Marta nowadays. His job is to protect the faith in a hostile environment and also to try and protect the good work of the Holy Office. I don’t know him, however I suspect that his main concern will not be so much for his own position, but that that CDF in itself would be destroyed or gutted by those who want to destroy it (and he has already had some shots fired over his bows). As one of the Holy Fathers closest collaborators on the governance of the Church, and as the holder of one of the most important roles in the Church, he has to do what he feels is the most important and best course of action for Holy Mother Church, and that might be to try and walk a tightrope on this issue. Also, I don’t discount that the best strategy for Cdl Muller at this stage is to hunker down, preserve as much as he can of what is good, don’t do anything stupid and try to ride out the storm. There are other men who are called to lead the resistance. And yet……I think a lot of the story with this interview is what Cdl Muller isn’t saying. Here we have the head of the Holy Office, however tentatively, discussing a formal correction of the Pope. He is right, the prospect of a formal correction is, at this stage, very distant because the Pope hasn’t responded to the dubia. Of course the head of the CDF has to expect that the Holy Father will respond to the dubia and teach in a matter consistent with the faith (the whole point of the Holy Office is to assist him to do that) and that the matter will be cleared up and that will be that, but the implication in what Mueller is saying is that, while remote, a situation may arise where the Pope will need to be corrected. Unlike Francis’ defenders, who have ‘played the man’ when speaking of the four cardinals and others who question AL and who dismiss out of hand any problems with AL, Cdl Mueller has conceded that the Cardinals have a right to ask the pope for clarification and openly talks of a formal correction. This, from the head of the CDF, is not nothing. I like to think Cardinal Muller is playing a canny game here, and I can hardly see how he could go any further than he has and retain his current job. I don’t think the answer to this is griping or complaining. Muller points out that this is about pointing attention to the fact of millions live in irregular situations and they need direction. The wolves will try to lead them astray with regard to the sacraments– this nothing new in terms of the 2000 year battle for souls. But Good and Faithful Priests and Catholics in general will look to Jesus’s example — in particular — his work with the Woman at the Well to solve this problem. Jesus’s engagement with and the subsequent transformation of that Woman (who was in a very irregular situation) is the model for pastoral accompanyment. It’s sad that we older brothers do not focus on jumping to fill the gap–to draw on this point of scripture to explain what accompanyment should look like, and instead mearly complain that the Pope has been unclear. People in these irregular situations need to know they are not abandoned, that they can get up after a fall (a very very hard and painful fall, if you can imagine being IN an irregular situation and NOT having had the benefit of all the preliminary instruction the holy ones have received in theirs) and the Church is still there for them. But none of this accompanyment REQUIRES giving Communion to those who are actively and unrepentantly persist in mortal sin within those situations. Clarity may come after a divine intervention which is way overdue. Our Lady of Fatima has waited long enough. Her son will no longer tolerate the disobedience of the Popes since Vatican II. Let us await the denouement with prayer and penance. Faith- The four Cardinals went public precisely because there was no conversation. Pope Francis refused to dialogue with them. Make no mistake, the dubia will be answered- most likely not by this Pope, but they will eventually be answered. Bishop Schneider was born in Kyrgstan, former Soviet Union, but his (ethnically German family, as you note) moved to (West) Germany in 1973 when he was at the age of 12. So one may safely say that his faith was founded by good people grown up outside Germany but he got his theological education exclusively in the post V2 West German environment that also formed most of the other “German prelates”, including Kardinal Marx. Cardinal Meisner was raised in East Germany, and lived in the catholic enclave Eichsfeld, so that is different. As to the younger generation, Cardinal Kasper cannot, even with a lot of goodwill, be counted thereunder. Have you heard of bishops Oster (Passau), Hanke (Eichstätt), or priests such as Fr. Rodheudt (Herzogenrath – he organises the liturgical congress on which Cardinal Sarah was invited to speak last year, but or some reason was hindered), Propst Grösche (Berlin) who founded and runs an island of catholic tradition in the heart of our post-protestant capital, Msgr. Imkamp who runs the pilgrimage shrine Maria Vesperbild, … there is more to the German part of the church than what you notice from the Conference of German Bishops, and there are certainly other nations as well that contribute to the Kasperite party. I agree, however, that parts of the US church – though in an environment even more hostile to christendom than contemporary Germany – are much more vivid and thriving than the average German parish. Things are not good over here, not at all. I only want to emphasize that this is not because we are German. I guess Muller didn’t want to be chaplain of the Vatican Janitorial Society.